Yesterday I received an email from Venla Santalahti. She’s one of the producers at Dark Orange Productions and she wanted to let me know about a new horror short that will soon be doing the rounds at all the best horror festivals. 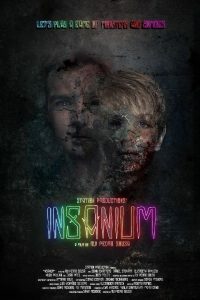 It’s called Insanium, it has an 18-minute runtime and is due to premiere at the MotelX International Horror Film Festival in Lisbon. Venla also asked if I could share the news of this upcoming dark delicacy via my blog. I watched the trailer and I like it, so I am happy to oblige. 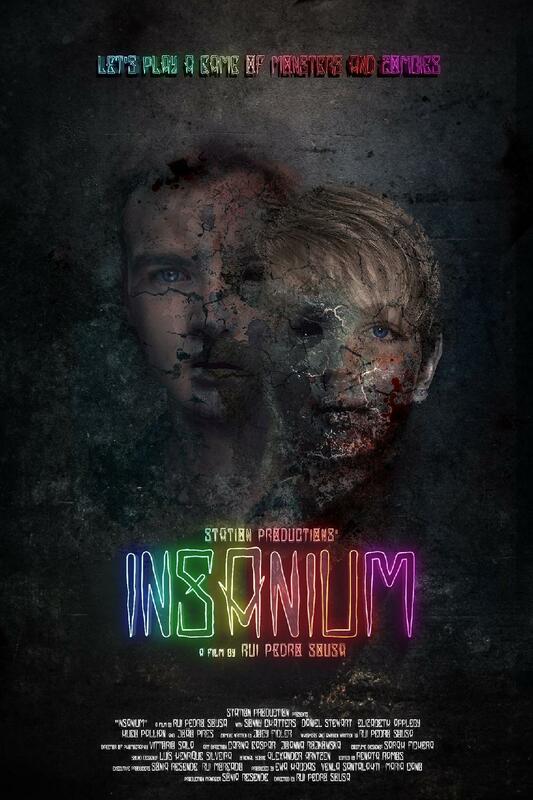 Although it’s only a short film, Insanium actually consists of a trilogy of shorter films about the strange experiences that happen to brothers Eric and Adam Madson. The first part is called Zombie and the two boys find themselves in a tricky situation when they are out walking in the woods and discover what appears to be a dead body sprawled across a log. The second part is called Whispers and finds Adam home alone. But is he? The whispering and other noises coming from one of the upstairs rooms suggests otherwise. The third and final part is called Awoken. It’s set on Christmas Eve. It’s traditional for young boys to have difficulty sleeping at Christmas, but when Eric wakes up the figure he sees entering his rooms has no white beard or jolly smile. It’s a monster and it’s carrying the corpse of Eric’s mother in its arms.